Dhanush Back In Action After Family Wedding! Dhanush has a long list of ventures in his hands and Vetri Maaran's Asuran is in the lead as the team began the shoot for the venture by the end of January. Asuran, bankrolled by V Creations Kalaipuli S Thanu and has popular Malayalam actress Manju Warrier as the lady lead. The first schedule of Asuran happened around Tirunelveli and Kovilpatti area and has wrapped the outing in a jiffy. The latest exclusive update about the venture is that Dhanush who had a break for attending Soundarya Rajinikanth's marriage is now back at the sets of Asuran and the team has begun their second schedule. The important schedule has resumed today in Kovilpatti. We also hear that Dhanush will soon start shooting for director Durai Senthilkumar and the actor will be working on both the projects simultaneously. 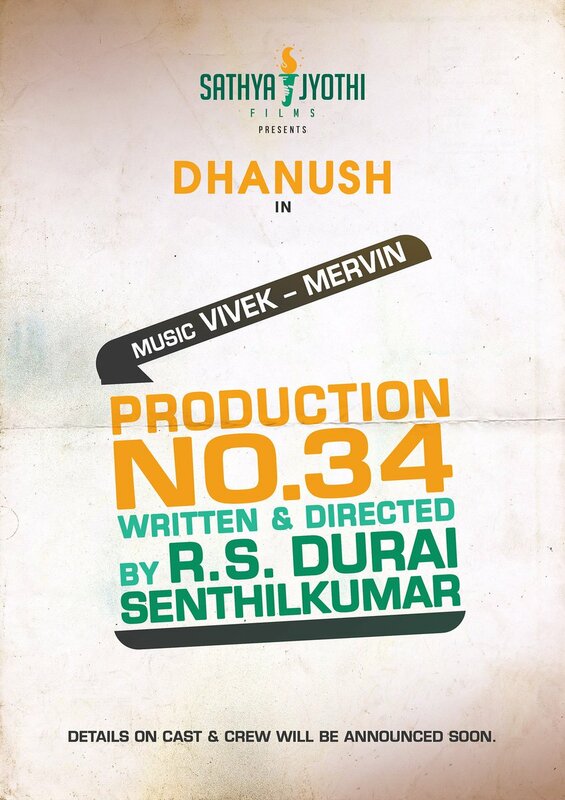 Dhanush's project with Durai Senthilkumar is made under the banner of Sathya Jyothi Films and has music by the duo Vivek-Mervin. The busy actor is also expected to start shooting for Maari Selvaraj's project soon after completing Vetri Maaran's Asuran.